Early detection of skin cancer can reduce the need for more invasive removal of advanced skin cancers. Regularly check your and your family's skin for changes to spots, or any new spots that may arise. Also, maintain your regular full skin check appointments to allow our highly trained Doctors to ensure nothing is being overlooked. A full skin check could safe your life. Below is a list of cancerous and non-cancerous skin lesions. If you feel like any of your lesions have visual characteristics similar to those of cancerous spots, contact us to see a Doctor for a full skin check. Click here for more information about skin cancer. - The most dangerous skin cancer. - If untreated, cancer cells spread to other parts of the body. If treated early, 95% are cured. - Appears as a new spot, or an existing spot, freckle or mole that changes colour, size or shape. - Usually has an irregular or smudgy outline and is more than one colour. - Grows over weeks to months, anywhere on the body. - Not as deadly as melanoma, but may spread to other parts of the body if not treated. - A thickened red, scaly spot. Later it may bleed easily or ulcerate. - Appears on sites most often exposed to the sun. - Grows over some months. - Most common and least dangerous skin cancer. - Appears as a lump or scaling area. - Red, pale or pearly in colour. - As it grows it may become ulcerated like an unhealing sore or one that heals then breaks down again. Grows slowly, usually on the head, neck and upper torso. - Not skin cancer, but a warning that you may be more prone to melanoma. 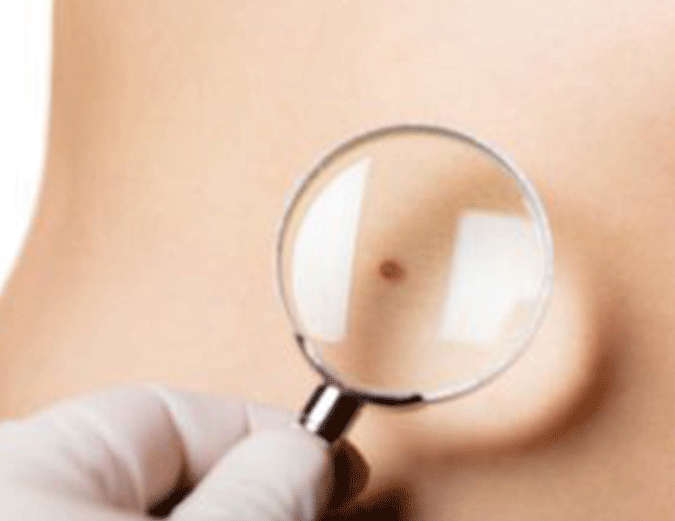 - Often flat, fairly large moles which share some of the features of early melanoma. - Characterised by irregular boarders and uneven colour with multiple shades of brown and sometimes pink. - Not a skin cancer, but a warning that you are prone to developing skin cancer. - Characterised by red, flattish, scaling areas which may sting if scratched. - Sunspots appear on sun exposed skin in the over 40 age group. - By the age of 60, most people have at least one or two. - They have a very discrete edge and frequently sit up on top of the skin. - Colour varies from pale skin through orange to black. - Size varies from few millimetres to 2cm. - Freckles are harmless coloured spots that range in size from 1 to 10mm. - Moles are evenly coloured and may be raised although they do not have to be. - Moles have clear, even edges and are usually circular or oval in shape. Living in the Sunshine State with our golden sandy beaches and clear blue water makes North Queensland an enviable place to live; however all this sun can be dangerous. Australia alone has one of the highest rates of melanoma in the world, with Queensland's rates the highest in the country. Unfortunately young Australians are the most at risk with melanoma the most common cancer in 15-39 year olds. At Skin Alert we believe prevention is the best treatment, and early education for our children is very important. Our sun smart tips below are a great guide to enjoying our beautiful part of the world while remaining safe. Wear cool and long-sleeved, tightly weaved clothing where possible. Sunscreen should never be the only method of sun protection used. 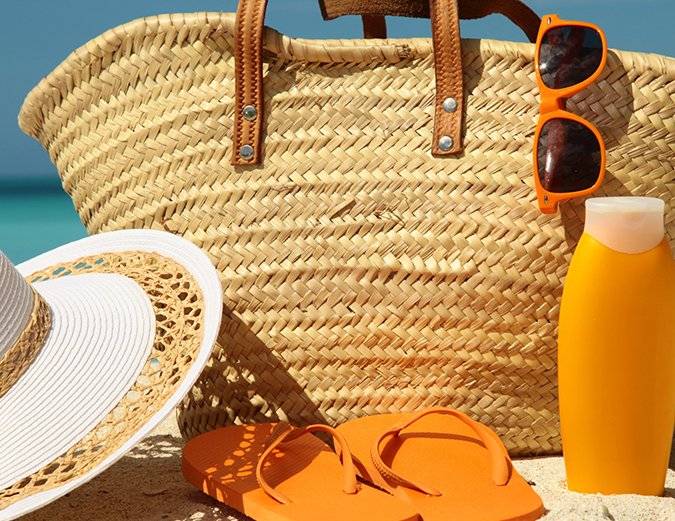 Apply a water-resistant, broad spectrum sunscreen of SPF30+ or higher. Remember to re-apply every 2 hours, especially after towel drying, swimming or sweating excessively. Caps alone do not provide adequate coverage. Wear a broad-brimmed style hat, or one that covers your neck and ears - as well as your face. The ears, sides of the face and back of the neck are common sites for skin cancers. Harmful UV rays can reflect off surfaces such as sand, water and paving. Shade provides excellent protection but be sure to use other preventative measures whilst staying out of the sun. Australian Sunglasses Standards recommends a protection rating of 3 or higher. Protect your eyes with close-fitting wrap-around sunglasses. Choose glasses with protective lenses where possible. Be sure to have regular full skin checks with your Doctor. Self-monitor for any abnormal moles or skin lesions and if you are concerned, please see your doctor.